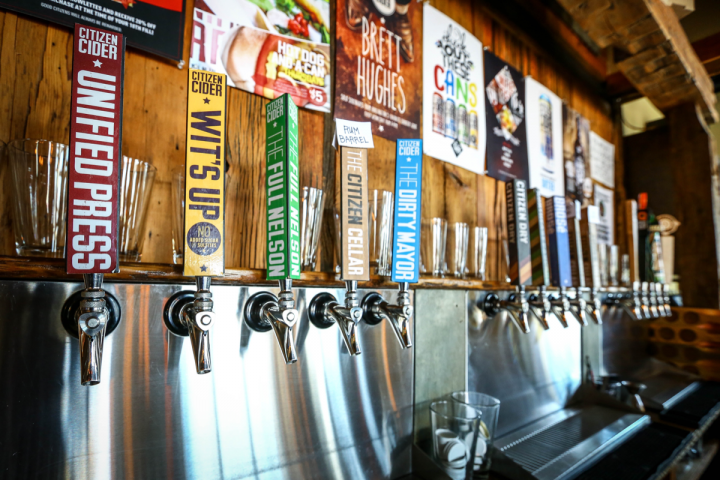 Craft cider producers like Burlington, Vermont–based Citizen Cider (taproom pictured) have thrived amid a broader category slowdown. Companies like ours do a lot of business with smaller independent merchants and on draft at restaurants. ... We feel very good about growth opportunities in this category. 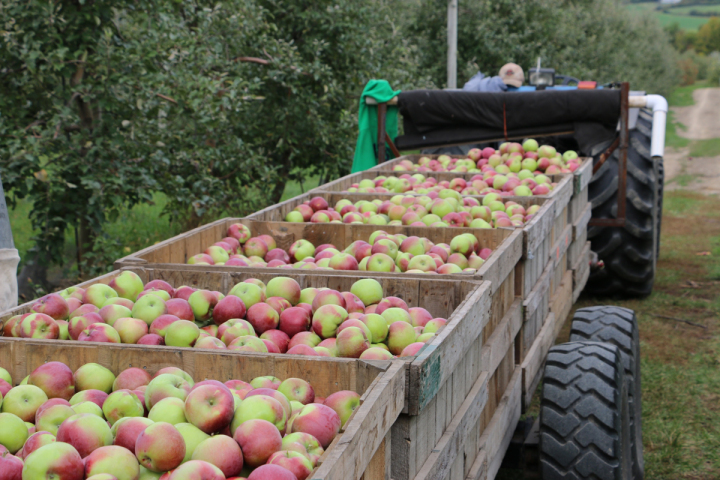 Vermont Hard Cider Co.'s Woodchuck label (apples pictured) has been pressured by both craft players and major brands. 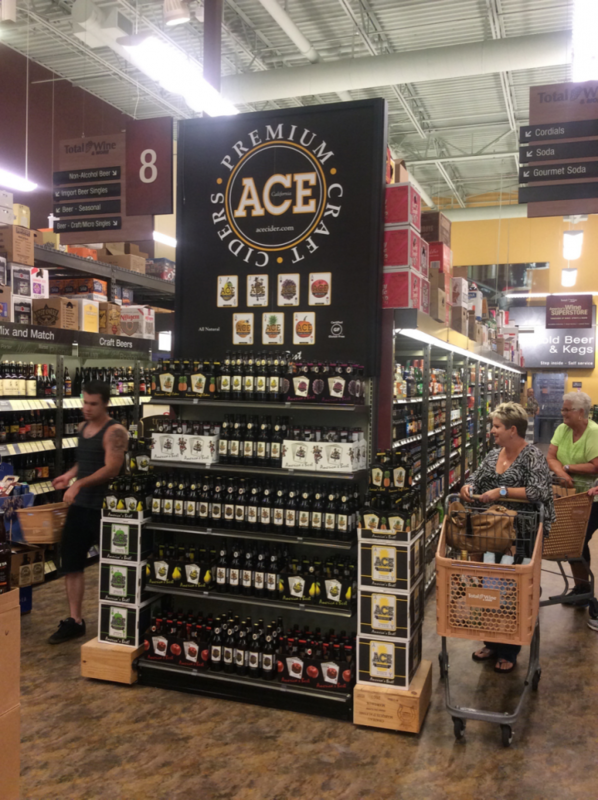 Total Wine & More (Redondo Beach, California, location pictured) displays Ace Cider, a smaller producer that offers flavors beyond apple.